“That……was……AWESOME!” A young boy proclaimed this glowing review in the lobby at ARIEL Theatrical at the conclusion of Narnia opening night. Don’t miss the epic adventures of the Pevensie children as they face a challenge that will truly test the best that’s in their hearts. Will Narnia remain in frozen desolation? Will Aslan confront the White Witch? Will spring ever come again? Come to ARIEL Theatrical and find out! The remaining shows are December 8, 9, 15 & 16, Fridays at 7 pm and Saturdays at 2 pm and 7 pm. All shows take place at ARIEL Theatrical in the Karen Wilson Children’s Theatre, 320 Main Street, Salinas. Tickets may be purchased in our box office, online at www.arieltheatrical.org, or by calling 831-775-0976. Support the Monterey County Women’s Shelters by bringing a new, unwrapped toy to add to the donation barrel in the lobby at ARIEL. Share some Christmas joy with those who need it the most. 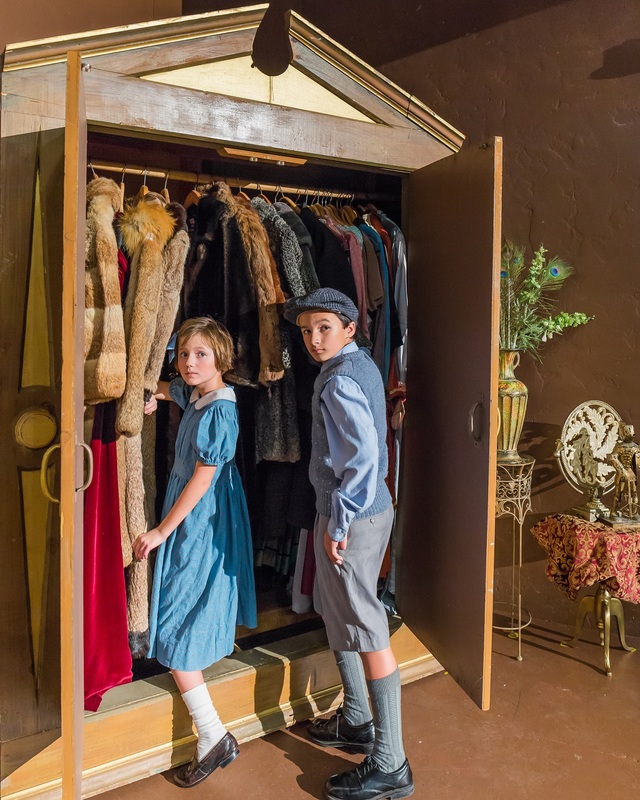 Lucy (Scout Hoppas) and Edmund (Anthony Penrose) discover the magic wardrobe. Photo by Sam Bailey. 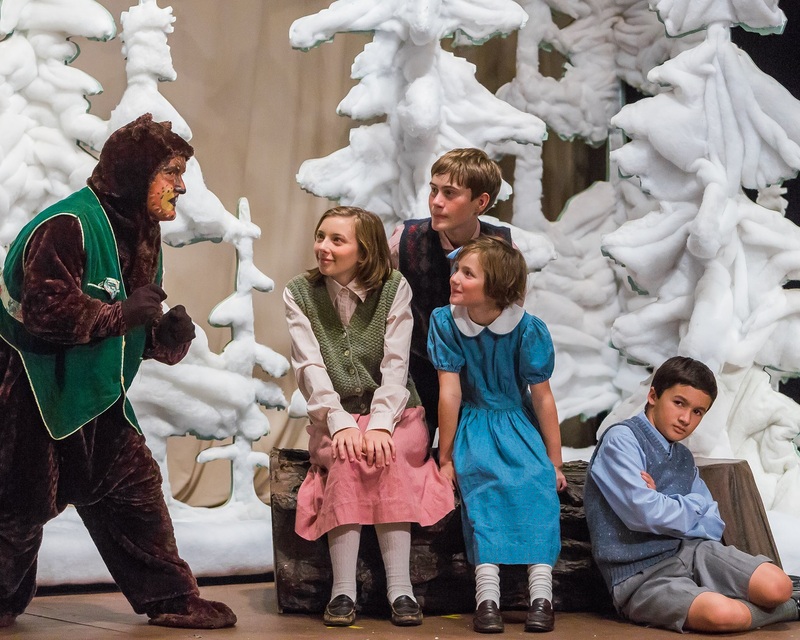 Mr. Beaver (Michael Beasley) tells Susan (Vanessa Engler), Peter (Alex Browning) and Lucy (Scout Hoppas) about Aslan as Edmund (Anthony Penrose) plots his revenge. Photo by Sam Bailey.